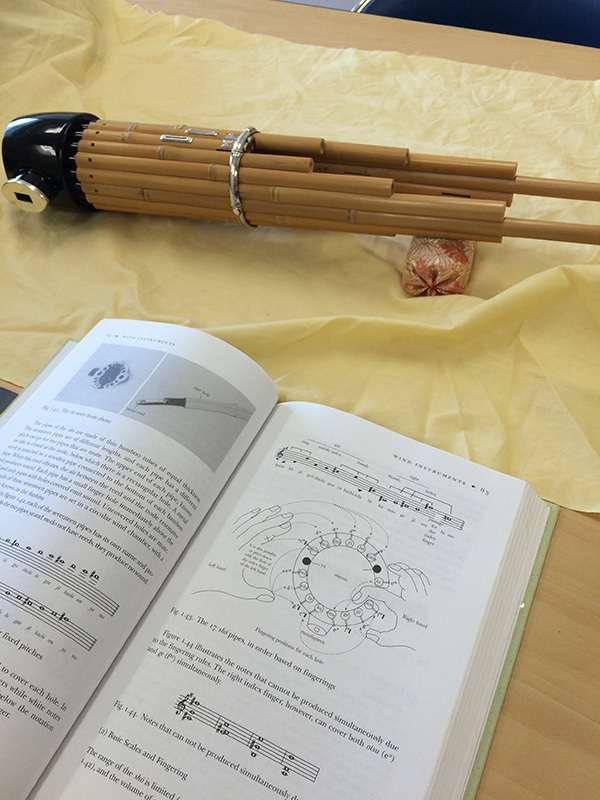 The Japanese Sho is one of the most enigmatic instruments around. Introduced to Japan in the Nara period, the sho is derived from the slightly larger Chinese Sheng. 17 bamboo pipes are affixed with reeds at the base, and tuned with wax. 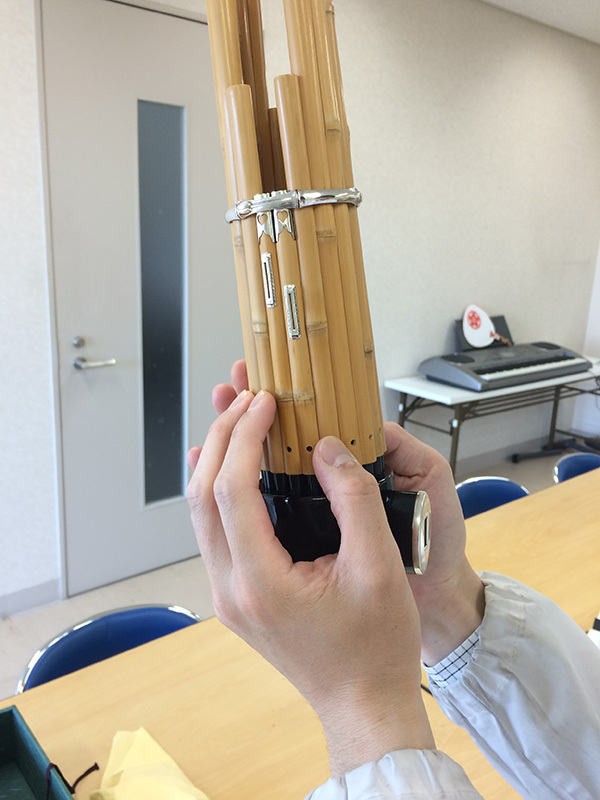 When the reeds get moist, they stop sounding, which requires players to heat up the instrument over a small hibachi between passages. Thanks to the generosity of Kyoto Geidai I've been able to spend some time with the instrument as I research my new piece. It's damn hard to play! 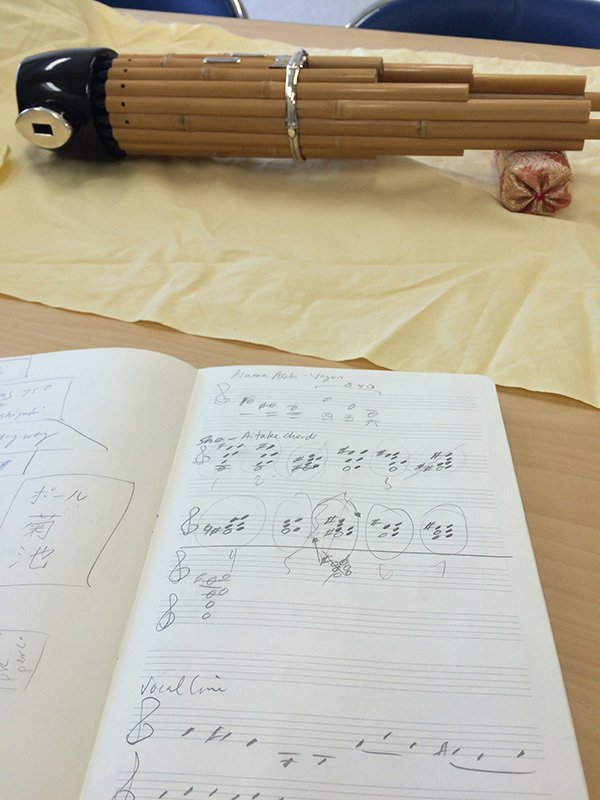 My piece will be an exploration of the traditional set of aitake chords used in the Gagaku court ensemble. The sho is capable of such rich chord clusters! And, and example of a page from my score featuring sho with audio from the rehearsal. A couple of the chords, I've since found out, aren't playable, so revisions are in the works.